Kevin Newman deals with another hot issue: Do animals have any rights in Canada? That’s a question he poses in the latest instalment of the ‘Revealed’ documentary series, produced by 90th Parallel Productions for Global Television. NO COUNTRY FOR ANIMALS examines Canada’s deplorable record on animal welfare and looks at the people who are fighting to bring about much-needed change. It’s part of Global Television’s summer documentary series ‘Currents’ and will be telecast on Wednesday, July 28 at 10PM. “The issue of how we treat our animals is a visceral one and the reality of what’s been happening in this country isn’t easy to take,” Kevin Newman said. “I believe this is a subject that doesn’t get enough attention and the impetus for the ‘Revealed’ series with 90th Parallel is to provide a platform to illuminate issues in an incisive way. I certainly hope we’ve succeeded with this important topic.” Newman narrates this film and co-wrote and co-produced. Without being unnecessarily graphic, NO COUNTRY FOR ANIMALS exposes Quebec’s notorious puppy mills and examines the mistreatment of animals raised for food. We see the gestation crates where animals spend their entire lives confined in standing positions, and overcrowded abattoir-bound trucks where livestock can go for days without food or water. It all happens because Canada has very outdated, ineffectual laws protecting animals and when cruelty charges are made, they are often dismissed. “In Canada animals are property,” explains one activist. Our legal standards protecting animals lag far behind the European Union or California, for example, where major steps have been taken to protect animals and enhance their lives. This documentary introduces viewers to some of the people who are fighting to bring about change in this country. There’s Nicole Joncas challenging the Quebec courts to close their horrific puppy mills, or Twyla Francois, armed with an undercover camera, campaigning vigorously to bring attention to the mistreatment of farm animals. We meet Canada’s first lawyer to specialize in animal law, and a new, young generation dedicated to the fight to improve the lives of animals through legal and educational means. NO COUNTRY FOR ANIMALS is a documentary that will enlighten and enrage you. And will leave you wondering how humane our society really is. NO COUNTRY FOR ANIMALS is directed by Karen Pinker. It is produced by 90th Parallel Productions Ltd in association with Canwest. Gordon Henderson is executive producer. Karen Pinter and her crew joined CETFA investigators while on investigation from last summer to fall. They caught with their cameras exactly what our investigators see daily - government-sanctioned cruelty to farm animals in transport, on farms, collecting stations, auction houses and slaughterhouses. They then travelled to Europe to see that livestock agriculture doesn't have to be this way. Nadia Masoudi is an animal rights activist who directed and produced a film called Don't Eat Me which is sponsored by PETA. She is hosting the first worldwide Animal Freedom Day on July, 24, 2010. She has received support from celebrities such as Woody Harrelson, Nigel Barker (of America's Next Top Model) and environmentalist David Suzuki. Oh yeah, and Nadia Masoudi is 18 years old. The headquarters of Animal Freedom Day will be in Canada at the vegetarian Burlington Jazz and Blues Festival, where Don't Eat Me will be screened for the first time. The festival will be streamed online, but people worldwide can actively participate in Animal Freedom Day by pledging on the website to abstain from all animal products on July 24th. Each year, Nadia Masoudi intends to extend Animal Freedom Day by just one day, until the entire world is vegan by the year 2375. An all-vegan world is an ambitious goal, but it's possible. And it may even be necessary as the world population continues to grow. According to a 2008 New York Times article, we will eventually face a world shortage of food if we don't change our food production practices. However, there is enough grain already grown worldwide to feed ten billion vegetarians, but a large percentage of that grain is now fed to cattle. The UN predicted that the world population will plateau at around ten billion people by the year 2060. The UN also reported recently that the agriculture industry accounts for 70 percent of global freshwater consumption, 38 percent of the total land use and 19 percent of the world's greenhouse gas emissions. The UN recommended the adoption of a vegan diet to save the world population from hunger and the impacts of climate change. Given the UN's findings, the world may adopt a plant-based diet before the year 2375. But the point of Animal Freedom Day is to end animal suffering and exploitation, and hopefully our attitudes towards animals will shift along with the change in our diets. Animal Freedom Day also asks the participants to not wear leather or support companies that test on animals and businesses that use animals for entertainment. The slogan for Animal Freedom Day is: "One day, one year, one life at a time we can bring freedom to animals throughout the world." Change doesn't happen overnight, and slowly weaning the world off meat may be an effective strategy. However, I don't think one day a year is enough, and a one day a week commitment with Meat-free Monday is a reasonable first step, given the aggravated cruelties in factory farming and the pressing global warming crisis. Still, Nadia Masoudi's mission is extremely admirable. She hopes to have 1 million people participate in Animal Freedom Day. Go to the website to register your pledge to go vegan for 24 hours to support Animal Freedom Day and this inspiring young woman. One day, animal slavery for meat and milk will end. ‘Don’t Eat Me’ is a documentary on animal rights, veganism, and the way society generates thoughts about animals and their meat. Interspersed throughout the movie are engaging interviews with both the famous and the average Joe, the religious and the political icons, creating a balanced portrayal of the general consensus on the morality of eating meat. As a sub-plot of the film, the characters Bob, Annie, Fernando, Emma and Kharoof are introduced. Bob is a calf, who grows up to become a happy, free-range cow. Contrastingly, Bob’s cousins are not as lucky. Annie, the hen’s life isn’t as good as Bob’s. She endures her time in a battery cage, along with many other confined chickens. Unfortunately, Annie is at the bottom of all the cages, so the waste from her friends ends up upon her. Fernando is a fish living in the ocean, happy as can be. He has it all - room to swim, places to go, and above all his beloved soul mate. All is well for Fernando until a fisherman catches Fernando’s companion. Fernando swims effortlessly looking for his love, jumping in and out of the water. Emma is an intelligent little piglet who lives in horrendous living conditions. Shortly after her birth, she is impregnated artificially. She lives her life wishing for a chance to roll around in the mud. Kharoof is a lam, who lives in the Middle East. He grows up living a happy life, adoring his owner who feeds him generously. The day comes when Kharoof’s owner turns on him, and sends him to a butcher to be “sacrificed” religiously, and is devoured. The documentary will also pose socio-political questions to well-known archeologists and anthropologists with inquiries such as ‘Why do we eat meat?’, Have we always eaten meat? And Do we really need it? ‘Don’t Eat Me’ will shock and stun you with its stunning imagery and footage. This is a movie with heart, a film that speaks to you with the eyes of all the animals which can only look on in silence while you make a choice. February 15, 2017 We have written the Prime Minister and other politicians and ministers yet again on the lack of regulations and legislation to protect animals used in the animal agriculture industry. The CFIA is in a conflict of interest, despite its claims to the contrary. It protects and promotes the animal agriculture/livestock industry, while at the same time acting as its regulator. Our government is so beholden to industry lobbyists and commercial interests that it cannot and does not adequately protect animals and the public through its regulations. Government has the legal authority to create new legislation and a moral duty to put animal interests first. Politicians must be held responsible for their compliance in the atrocities that are permitted within the industry. Both on the federal and provincial levels, governments facilitate the infliction of the most profound privation and suffering on hundreds of millions of individual animals on an annual basis. The exploitation and slaughter of animals as part of an economy is barbaric and unnecessary, yet government props up the industry with subsidies, bailouts, and other monies for producers. This enablement must stop. An enlightened and compassionate society does not keep the weak and the vulnerable oppressed. Our obligations to them are a matter of fundamental justice and must be advanced through the political and legislative process. 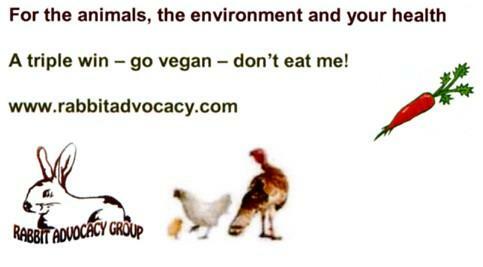 As compassionate Canadians, we can choose to live a humane lifestyle that does not include consuming animals. What has eyes, people conscious of their responsibility do not eat. There's plenty more on our Factory Farming, Ethics, and Animal Law pages.